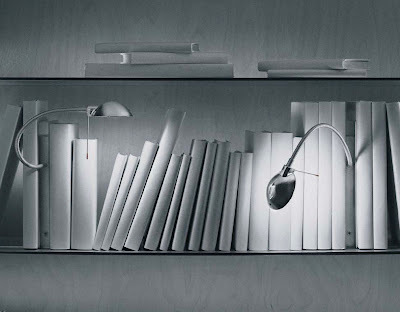 OSKAR Modern Bookshelf Reading Light | Bookshelf Lighting is the perfect lamp to light up any bookshelf while being a handy book divider at the same time! 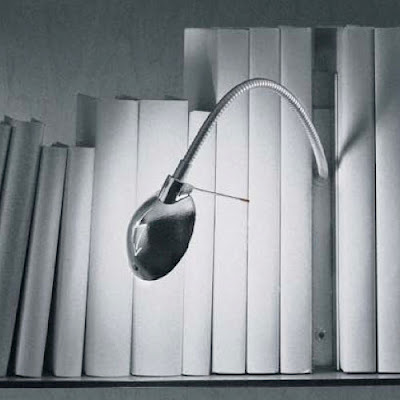 Ingo Maurer's Multi-Tasking Oskar Light is a convenient solution for the avid book reader designed by German lighting Designer Ingo Maurer. Oskar is a great task lamp that fits neatly on your bookshelf. Ingo Maurer's Oskar Lamp is made of metal and anodized aluminum with a reflector which has a protective glass cover. Oskar comes with an electronic safety transformer with integrated toggle switch. A flexible gooseneck metal arm allows variable adjustment of the reflector which make it great to illuminate books. 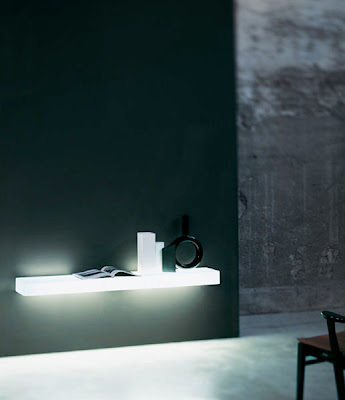 The Ingo Maurer Oskar Lamp provides direct lighting. The base resembles a hardcover book. 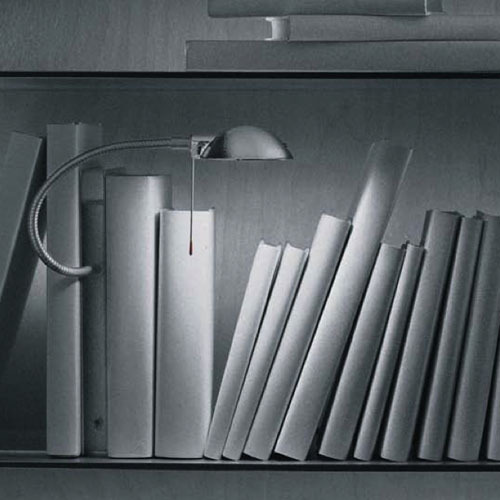 The lamp can simultaneously function as a bookend or remain simply a design element. 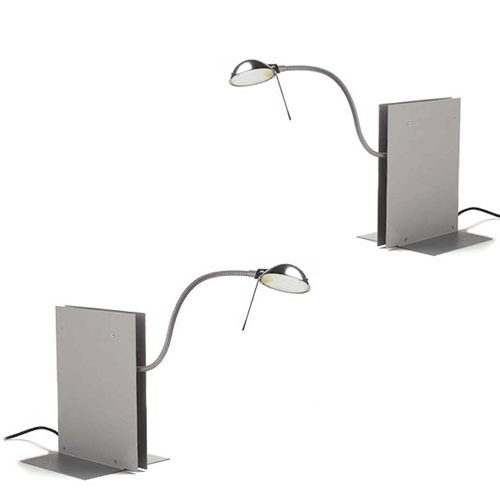 A modern and functional task lamp for everyday use. 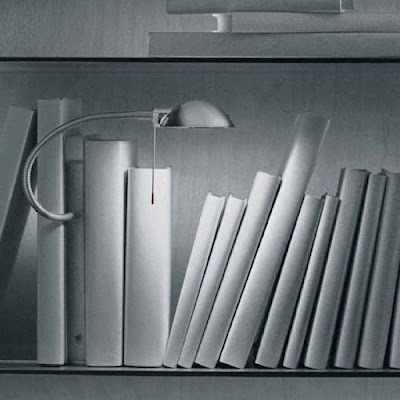 Ingo Maurer's Oskar Lamp is one of the most popular lamps in the Ingo Maurer lighting collection since it combines functionality with style. Oskar is a 125V lamp and uses a 50W halogen bulb, with integrated transformer. 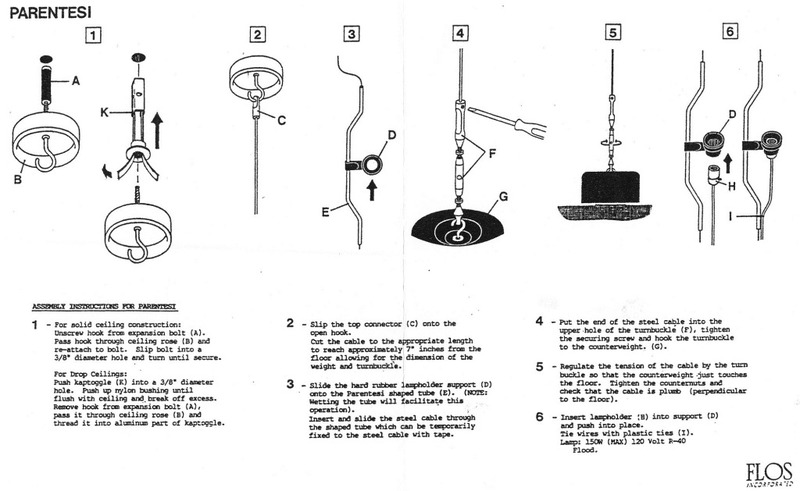 The light bulb is included. 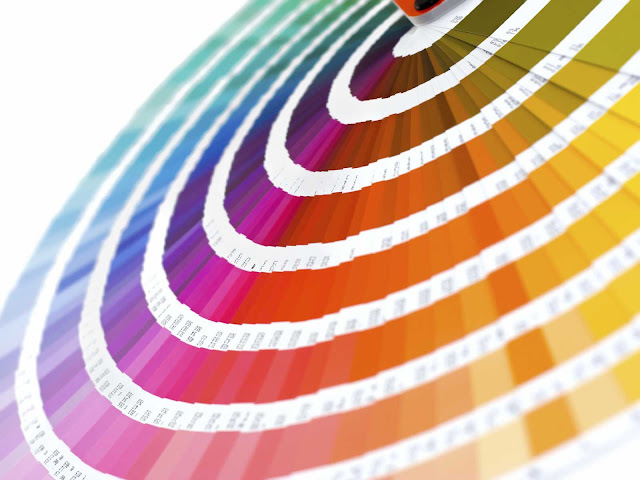 The material color of the Oskar Lamp is aluminum.